Food, family, and friends—the holidays are a wonderful time to celebrate the good things in life! During this joyous but hectic time, be sure to keep yourself and your loved ones safe by keeping fire safety top of mind. Fire safety is especially important in the kitchen this time of year. Thanksgiving is the biggest cooking day of the year. Unsurprisingly, it’s also the peak day for home cooking fires in the U.S., followed closely by the day after Thanksgiving, Christmas, and Christmas Eve. In 2015, fire departments responded to an estimated 1,760 home cooking fires on Thanksgiving. Fire extinguishers typically go unnoticed on a day-to-day basis. Unless you suddenly need an extinguisher to fight a fire, they’re fairly easy to forget. Your to-do list is long enough without having to think about your building’s fire safety equipment, too. Unfortunately, forgetting about your business’s portable fire extinguishers doesn’t release you from your OSHA obligations. All employers must inspect, maintain, and test portable fire extinguishers in the workplace--and your inspections and tests should comply with fire extinguisher inspection requirements in both frequency and method. Are Fire Suppression Systems Harmful to Humans? You know that fire suppression systems are vital to preventing the spread of fire and protecting valuable business assets. But you may be wondering—if the fire suppression system goes off while a person is in the room, will the person be harmed? How Do You Put Out a Lithium-Ion Battery Fire? No one expects their cell phone or laptop to suddenly catch fire, but that’s exactly what’s been happening in the news with increasing frequency. On airplanes alone, the Federal Aviation Administration has reported at least 18 of these incidents in airports and airplanes so far in 2017. In 2013, there were eight incidents. What Size Fire Extinguisher Do I Need for My Business? 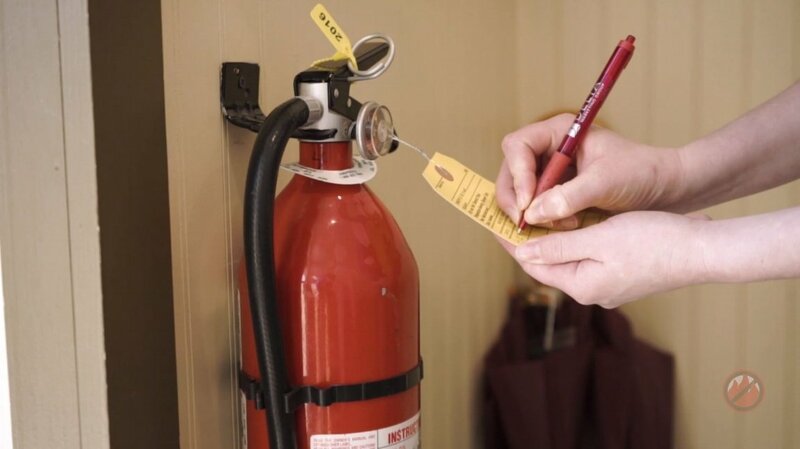 In addition to complying with fire codes and insurance requirements, fire extinguishers—and employees that are properly trained in their use—are vitally important for protecting lives and business assets. First, let’s answer another question that we get asked frequently: Yes, you need portable fire extinguishers for your business even if you have a sprinkler system or fire suppression system.